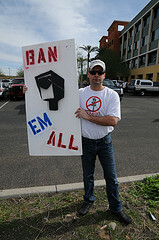 During the period since the first blockbuster article by Kidwell in March of 2013, Redflex has been hemorrhaging contracts and money, but curiously not in Arizona, which houses the Australian-based camera vendor’s U.S. headquarters. 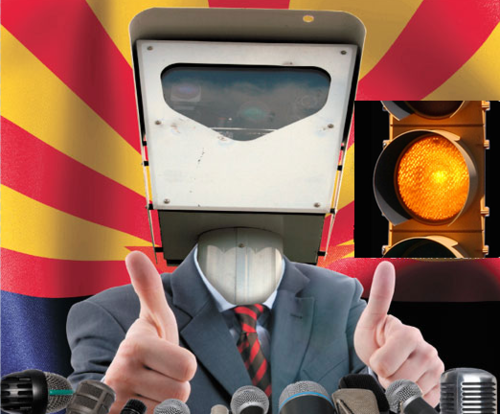 Paradise Valley, AZ could not have turned a more blind eye to the corruption as they not only renewed with Redflex in 2013 for a whopping 5 years, but agreed to double the size of their contract and hardly even considered using a different vendor, such as American Traffic Solutions (ATS), who also operates nearby in Scottsdale. Phoenix, AZ also renewed their contract with Redflex without even putting the issue up for public debate, which they later admitted was improper (code language for “illegal”). Now that Redflex and their designated scapegoat, Aaron Rosenberg, have exchanged lawsuits it’s starting to become clearer that bribery wasn’t just an issue in Chicago, but “Standard Operating Procedure” for the camera vendor. The former EVP, Rosenberg has not taken too kindly to the remaining brass at Redflex blaming all their transgressions on him and him alone. He’s firing back, not by proclaiming his innocence, but by presenting evidence that he was just a cog in Redflex’s bribery machine. It’s getting ugly, real ugly. Arizona – Illegal campaign contributions to both the Arizona Democrat and Republican Parties by Mr. Rosenberg that was reimbursed by Redflex and signed off on by then-CEO Karen Finley. Florida – Two dozen state legislators and their wives were invited to an expensive dinner at Morton’s Steakhouse, which was paid for by the company and not reported. Internal emails and expense reports show the dinner cost over $3,200.00. And this is just the beginning. Rosenberg is alleging bribery was all part of the standard ops in 13 states. In his counterclaim against Redflex, Rosenberg said he was simply “carrying out orders” and that other company executives also participated in a “pattern and practice” of wooing potential clients with perquisites including meals, golf outings, professional football and baseball games — all covered under a liberal company policy for “entertainment” expenses. “A budget for these items was approved, and there was never a distinction between these types of entertainments and expenses that are considered gratuities and bribes,” Rosenberg alleged in the filing. Arizona and Florida seem to be a main focus of Rosenberg and his attorneys and for good reason. Arizona is the hub, where the executives are housed and will almost certainly be where most of the bodies are buried. After all, Redflex “won” the competition with ATS for the statewide freeway photo radar contract from 2008-2010 and it certainly took more than just a convincing slide show to woo Janet Napolitano and the state legislature, who looked the other way while she jammed this massive program into a byline on the state’s budget. Orlando, Florida is now potentially on the hook for over $4 million in refunds after a judge rules the ticketing scheme to be invalid. LaserCraft was the initial vendor for Orlando, until American Traffic Solutions purchased the Georgia company in June of this year. 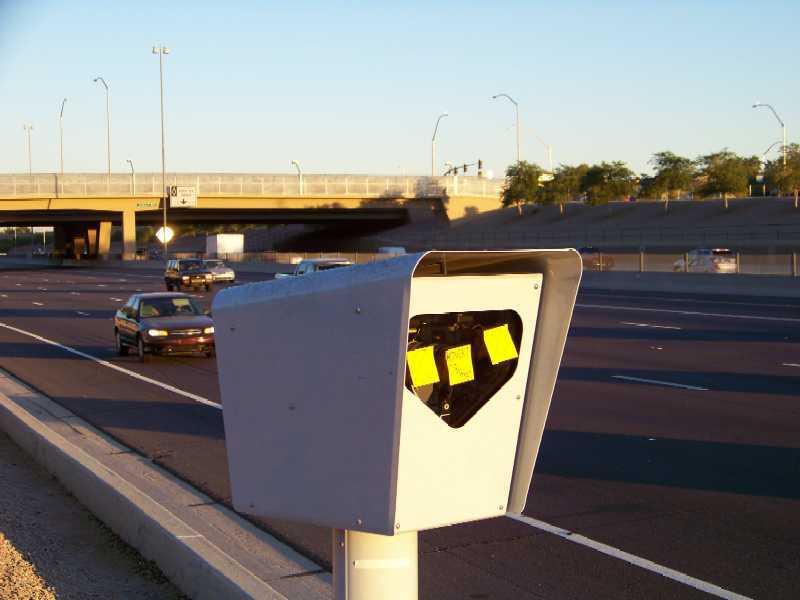 ATS has automated ticketing operations throughout Central and South Florida, as well as a vested interest in tolling. Video: MyFoxOrlando: Red light cameras violate law. Florida local governments are trying to find new revenues as tax collections decline, but hopefully Tarpon Springs is not so desperate for cash that it will install red light cameras and issue expensive tickets to residents and visitors just to shore up the city budget. There are even broader concerns about red light cameras. Lawsuits have been filed against local governments because of such issues. Local governments in Florida are among those now fighting lawsuits — and incurring legal fees. Perhaps the most troubling aspect of red light camera use is that local governments may become so dependent on the revenue that they are tempted to toy with traffic light timing to increase the flow of dollars. San Diego and Dallas were accused of shortening the yellow light cycle on traffic lights so more motorists would be caught running red lights. Such behavior belies the claim that the goal is to improve safety. American Traffic Solutions, the besieged automated ticketing vendor, is in trouble with the law again in Florida. The Florida Attorney General’s Office says video footage is a public record even if it is collected by a private company, like Arizona-based American Traffic Solutions, if the company is contracted by a government agency. And officials with the Florida Division of Library and Information Services say companies like that have to comply with the state’s record-retention schedule, which requires that the videos be kept for at least 30 days. So, how does ATS handle challenges to its ticketing scheme? Blame the client: the city! ATS and city officials Thursday pointed to each other as the party responsible for maintaining the videos. But City Attorney Tim McCausland said ATS is the custodian of the records and that the company is responsible for being versed in Florida public records law, which the company agreed to abide by in its contract with the city. Be warned council members, city managers, mayors, and project administrators: Theft through automated ticketing will always come back to haunt you, and the vendor will be laughing all the way to the bank. James Tuton, ATS CEO (left), busted for lawbreaking thievery in this undated file photo. 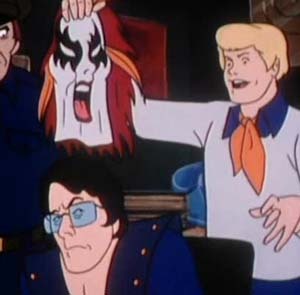 …And they would have gotten away with it too, if it wasn’t for those meddling kids laws. Of course, Breaking the law while pretending to enforce it (for profit) is business as usual for American Traffic Solutions. Jason Weisser, a West Palm Beach-based attorney, is filing a class action lawsuit in each of the 22 Florida municipalities that have recently installed red-light cameras or similar technology, claiming they are unconstitutional. Weisser says that counties and cities have no business passing laws about red-light running, which he says is the state’s responsibility. Collier County has installed 12 cameras since early April and has issued hundreds of $125 citations. The state does not allow red-light running cameras on state property, and the cameras used in cities and counties are not allowed to issue traffic citations. Instead, the municipalities that utilize the cameras mail out code violations to the owners of vehicles caught on camera running red lights. As Shaggy would say: “Zoinks, it’s the creepy coin collector again!” Except all that coin they’re collecting might have to be refunded as the tide continues to turn against photo radar, red light cameras, and city officials who choose to conspire with private corporations against their constituents.